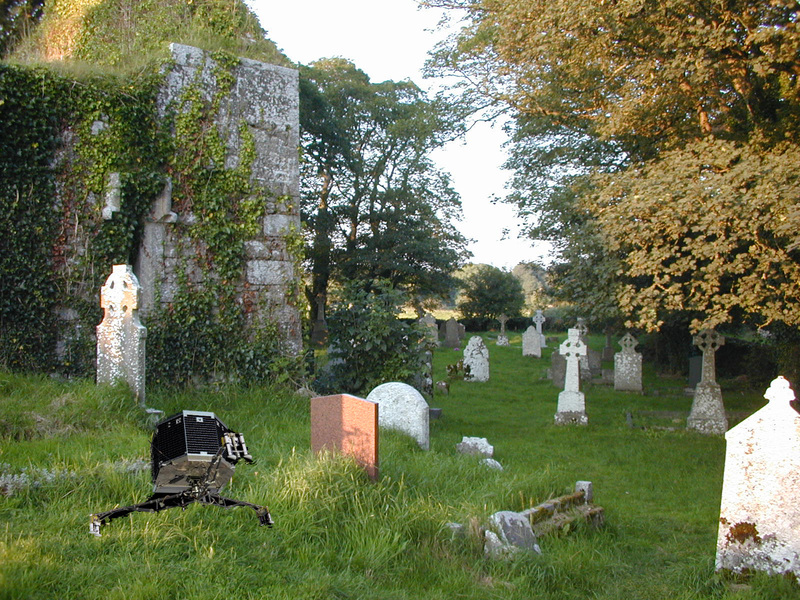 NASA have yet to confirm or deny rumours that their expensive Rosetta mission may not have been as successful as first thought after word filtered through of a ‘space-like probey thing’ which has landed in a graveyard in Moortown with the words ‘NASA’ on the side of it, even though NASA had nothing to do with it..
Suspicions were heightened in Washington after the first audio signal sent back by the Philae Probe included what appeared to include high-pitched sounds including a clearly heard ‘holy smokes’ and ‘ghost-oh boys’. NASA’s description of the landscape appear to match that of Moortown, describing the conditions as ‘hostile’ and ‘like nothing on earth’. Local PP Fr Hackett has asked locals to pray for the probe which has already been kicked and shot at with an air rifle. Posted on November 12, 2014, in GAA and tagged comet, Moortown, NASA, philae, rosetta, washington. Bookmark the permalink. 1 Comment.